Hotel Charu Palace provides a dry cleaning service, as well as business facilities like fax and photocopying. Staff at the accommodation are always available to provide information at the reception.Namgyal Tsemo Gompa is a 4-minute walk from Hotel Charu Palace. The nearest airport is Kushok Bakula Rimpochhe Airport, 6 km from the property. 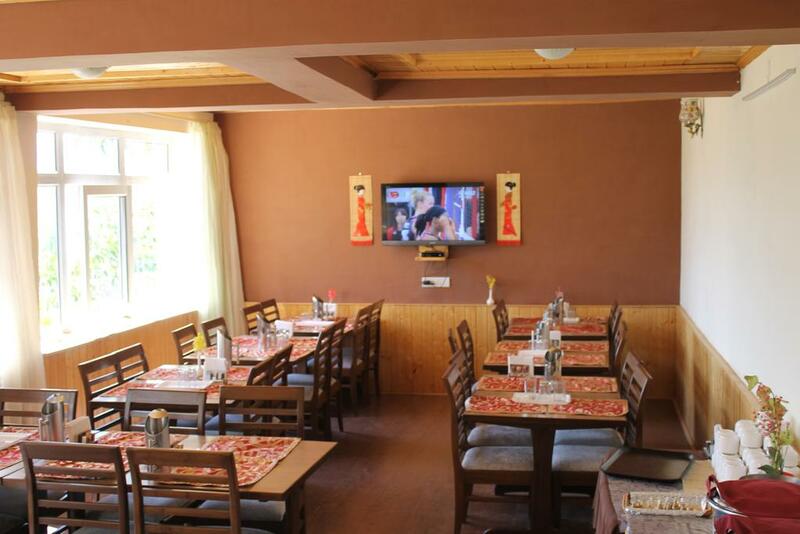 Restaurant, Doctor on Call, Travel Counter, Family/Child Friendly, Parking, Internet/Wi-Fi, Front Desk, Airport Transportation, Room Service, Taxi Service. Complimentary Newspaper, Dustbins, Cable/Satellite TV, Bottled Water in Room, Attached Bathroom, Internet Access, Shower Caps, H/C Water, Telephone, Ceiling Fan. User reviews for "Charu Palace Hotel Leh"